"Do it again, Phil! That is so cool!" my brother, Byron, excitedly yelled. I slapped another sheet of plastic into the frame, then flipped it over the heating element. While the plastic warmed, I put my chosen shape onto the vacuum bed. When the plastic began to sag, I flipped the pliable sheet of plastic on top of the mold, then pumped the vacuum lever like a wild man. The suction drew the soft plastic tightly over the shape on the vacuum bed. I held the plastic in place until it began to cool. I removed the plastic sheet, separated it from the mold, and then trimmed the excess plastic from the newly formed object. I glued this newly formed piece (the top side of a tugboat) to the previously formed piece (the hull). I had made a floating toy boat to get my brother out of my hair. He quickly filled the sink with water and sudsy shampoo to play with his new toy. I then began making some neat stuff for myself! What a blast! Nothing like heat, melting plastic, levers, a vacuum pump, and old caustic plastic cement in the hands of a little boy! 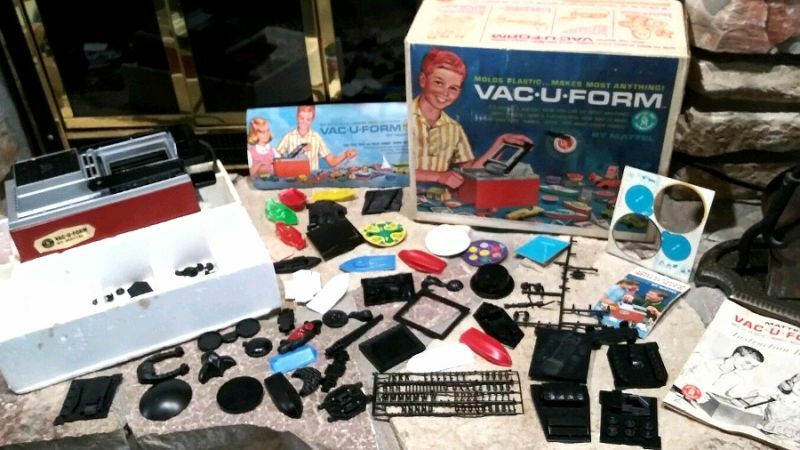 Which is probably why I haven't seen one of those Vac-U-Forms advertised in decades. However, I won't forget what happens when warmed plastic is pulled over a mold and is sucked tight to it. That plastic is re-formed, or maybe better, transformed into something new. Therefore, if anyone is in Christ, the new creation has come: The old has gone, the new is here! 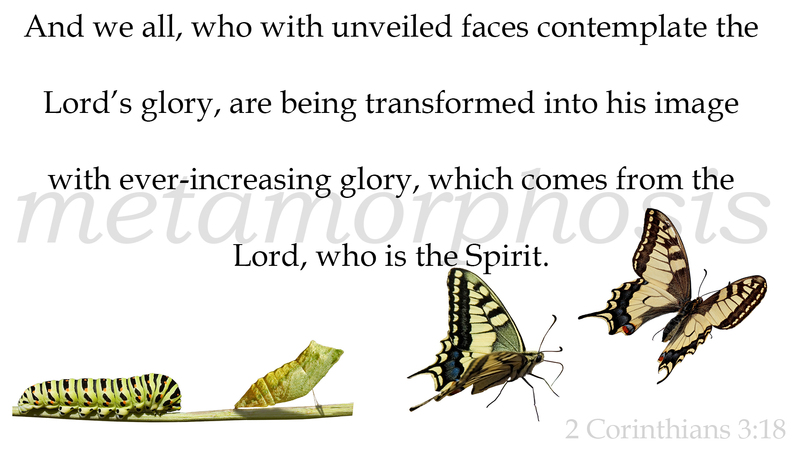 (2 Corinthians 5:17). 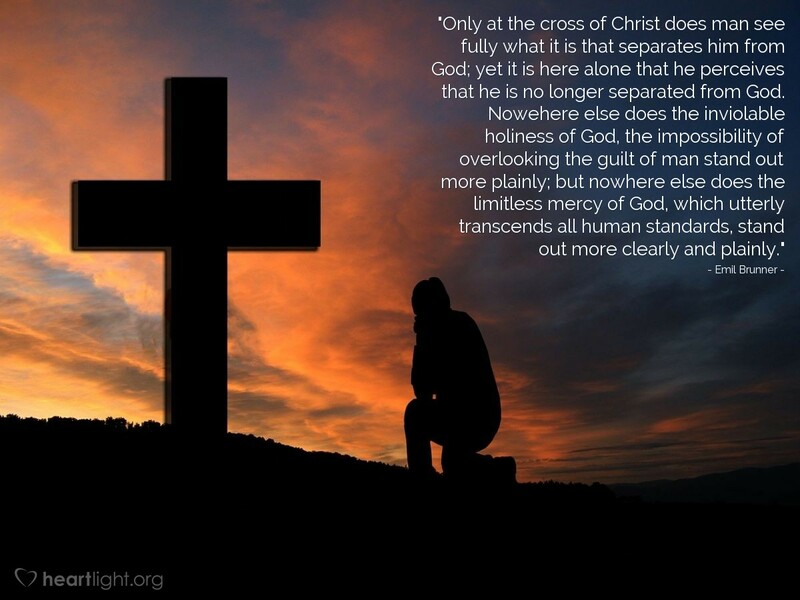 Notice the next phrase Paul wrote, as well: "All this is from God..."! The Corinthians' transformation was not something that they pulled off for themselves. Only God could do this kind of work. True transformation is something far beyond our human ability to achieve. We can no more "re-form" or transform ourselves into a new creation than the plastic sheet could make itself into a toy. However, we do have a part to play in this process of transformation. Just as the plastic must be heated and give up its shape and become pliable to be re-formed, so must we. We must offer our wills to be re-created by God. Our hearts must be willing to be "de-formed" to be transformed by the Holy Spirit into the likeness of Jesus (2 Corinthians 3:18). While Jesus' death on the cross may appear to be a ridiculous way to reach the hearts of a lost world, Paul knew the great power of Jesus' self-giving death on the cross to draw people to him (1 Corinthians 1:20-25; cf. John 12:27-34). Mark broke his gospel story of Jesus into three parts, centering his message on the importance of the cross. [ONE] Today's message is a glimpse of this story so that we can see our goal that lies at our stories goal. In Mark's key central section on discipleship, Jesus repeatedly told his closest followers that he would go to Jerusalem, be killed, and then rise from the dead on the third day (Mark 8:31-32; 9:30-32; 10:32-34). They could not grasp what he was saying. In fact, the first time Jesus told them, Peter rebuked the Lord for saying he was going to die in Jerusalem (Mark 8:32). Because Jesus' disciples could not — or perhaps, WOULD not — understand his going to the cross, they misunderstood what the Lord was calling them to do with their lives. He emphasized their need to follow his example of self-giving love to serve others (Mark 10:45). For them to follow Jesus as their Lord, however, they would have to be "cruciformed"! They must be reshaped by the cross of Christ so that the Holy Spirit could transform them into Jesus' likeness. They must be "cruciformed"! And calling the crowd to him with his disciples, he said to them, "If anyone would come after me, let him deny himself and take up his cross and follow me. For whoever would save his life will lose it, but whoever loses his life for my sake and the gospel's will save it" (Mark 8:34-35). For us to be "cruciformed" means that we offer our hearts to be reshaped to be like Jesus' heart. It means we offer ourselves to be used by God to bless and serve others, not seek special recognition for ourselves. Each of us must die to our selfish will and walk with Jesus in the way of the cross, choosing that God's will, not our will, be done in our lives. Being conformed to Jesus through the cross is one of the reasons that baptism was more emphasized in the early church than it is in many groups today. [TWO] More than something they did — remember, baptism is a passive verb, an act of grace that someone else does to the believer — baptism was a time when early disciples shared in Jesus' death, burial, and resurrection while declaring their faith in him as their Savior (Romans 6:3-14; Colossians 2:11-12; 3:1-4). They offered themselves to be "re-formed" into the likeness of Jesus by the power of the Holy Spirit. They voluntarily gave themselves to God to be "cruciformed" — to be transformed by Christ and to be clothed with Christ (Galatians 3:26-27). For the next several weeks, we will journey with Jesus and his closest followers through this life-changing time in his ministry. As we do, we will keep the goal of this journey in mind: to be "de-formed," "re-formed," and transformed to be like Jesus and serve others as he did. The goal of our lives, then, is not just to be "cruciformed"! To be "cruciformed" is the beginning. It's the start of a new life as a cross-shaped disciple of Jesus. 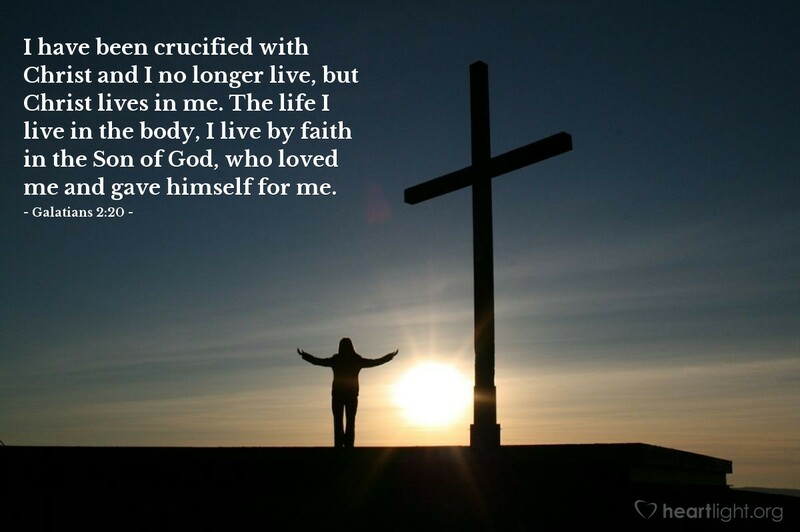 Being 'cruciformed' is the beginning of a new life as a cross-shaped disciple of Jesus! The Powerful Jesus Christ, The Son of God — Mark 1:1-8:21. The Confusion of Blindness: Two-step Healing — Mark 8:22-26. The Call to Be Cruciformed to Jesus Christ, The Son of God — Mark 8:27-10:46. The Clarity of Blindness: Following Jesus Christ, The Son of God on the way — Mark 10:47-52. The Passion of Jesus Christ, The Son of God — Mark 11:1-16:8. The early Christians did not separate faith and baptism into two disconnected acts nor did they see calling on Jesus as Lord and Savior as something to be separated from their baptism (Acts 22:16). Instead, they kept baptism and faith together (Galatians 3:26-29) because more than being an act of obedience, baptism was actually participating in Jesus' saving work — his death, burial, and resurrection — through faith (Romans 6:3-14; Colossians 2:12; 3:1-4). Special thanks for the use of the Jesus related images in this series to Free Bible Images and The Lumo Project. Those pictures associated with the ministry of the apostle Paul are courtesy of Boettcher+Trinklein Television Inc. © All rights reserved, from ToTheEndsofTheEarthMovie.com. "CRUCIFORMED!" by Phil Ware is licensed under a Creative Commons License. Heartlight encourages you to share this material with others in church bulletins, personal emails, and other non-commercial uses. Please see our Usage Guidelines for more information.